What are the best all round lenses? 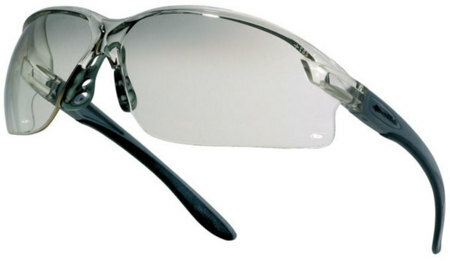 If you intend to only buy one pair and intend to use them during summer then we’d recommend the Contrast lens. This example is the Bolle Axis but all the contrast lenses do the same thing. They are dark at the top and clear at the bottom allowing clear vision when indoors or undercover since you rarely need to look up, and then a darker shade when outdoors. Yes ok we do get some sunny winter days but they seem to be few and far between. 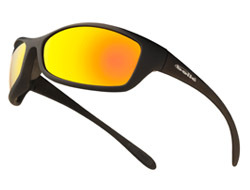 As a result you’ll probably benefit from the Yellow lens which enhances the light to give great definition. This is of course if you can spare the embarrassment of looking like Bono or Ali G! Even with light enhancing properties they do still offer 100% UV protection but when the sun does come out you may prefer to remove them rather than be overpowered. If you want to get two pairs for different conditions then we would say the ESP would be a good choice because it works like a clear lens but also gives protection from damaging blue light on clear days and reflective water. You can use these on dim and overcast days or indoors.